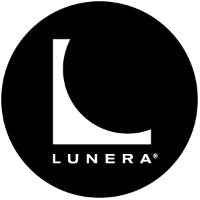 This Lunera product is the first product I’m aware of that reaches a critical density of computation, sensors and communications throughout an entire space. Think of an office building (their market): T-8 lights are on the ceiling every few feet throughout the building, and each fixture now has computation, sensors and communications. It’s completely different from one or two or even 10 “smart devices” scattered somewhere. Lunera now accomplishes end-to-end sensor and communications coverage, which allows many more interesting IoT applications because there is virtually no gap in the data! That’s new. As they point out, the product pays for itself in energy savings, and so all the cool functionality is essentially free! Beats the usual alternative so common in the IoT market, where the “smart” product is several times as expensive as the “dumb” product, with uncertain benefits. It took me a long time to convince them that they needed to be a platform for third-party apps, but success! It appears to be the central piece of the pitch they are making today. Unlike other IoT platforms, it’s not just a platform you are supposed to build your business on and by doing so, bring customers to somebody else’s platform! It’s a product that is useful in itself, and as an app developer you have an existing, deployed market for your new thing! It retrofits, so it can be deployed anywhere, not just in new buildings. So the market Lunera is going after is inherently much larger than what’s commonly done. Obviously, I spent most of my time on the core architecture of what they now announced, and can’t talk internals, but to convey some of the challenge, do some math: a single office building might have 1000 light fixtures. As people move around the building, events are generated everywhere all the time, say one per 100 seconds per fixture. At, say, 1000 deployed buildings, that’s 10,000 events per second on average; peaks are obviously higher. Or almost a billion primary events per 24 hour period! All that data needs to be moved, routed, analyzed, and often stored, and 24×7 without downtime. So it wasn’t exactly trivial. Congratulations everybody who worked on this, often burning the midnight oil, you know who you are!